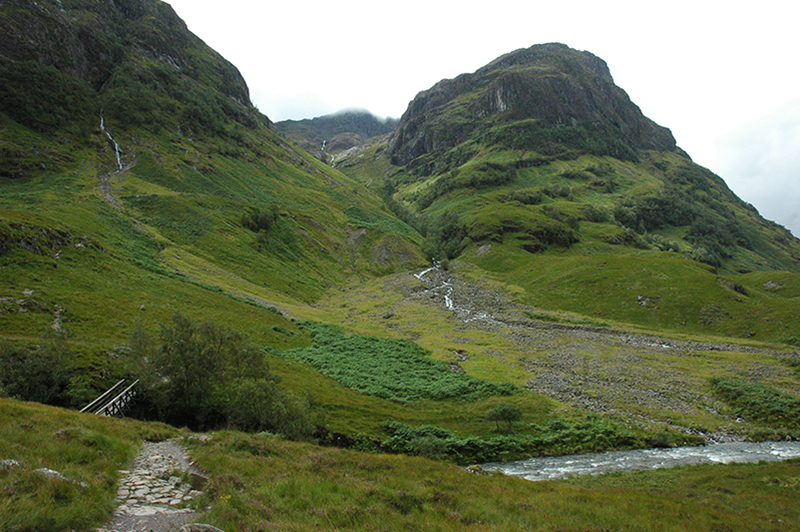 Such is the atmosphere of the melancholy valley of Glencoe that it still seems to be haunted by what happened there so long ago on that fatal day of 13 February 1692 when 38 members of Clan MacDonald of Glencoe were killed by government forces billeted with them. 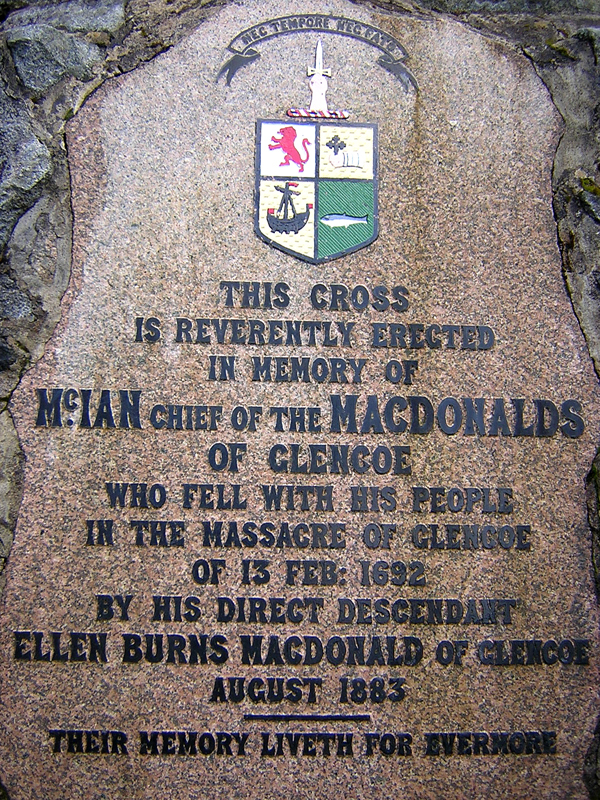 The friendly and unsuspecting villagers were slaughtered at five o’ clock in the morning, on the grounds that their chief Alasdair MacDonald, known as MacIain, had been too late to pledge allegiance to the new monarchs, William III of England and II of Scotland and Mary II. 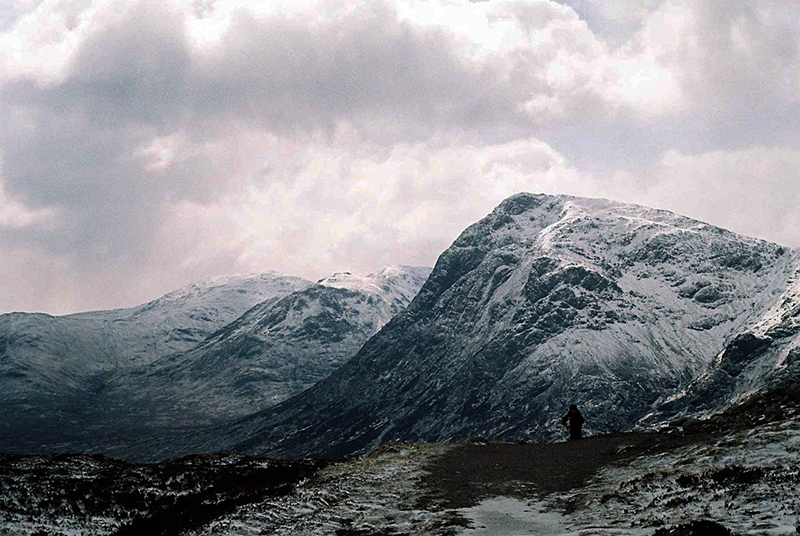 Glen Coe is the first place which struck our imagination in Scotland and it will stay in our memory forever. 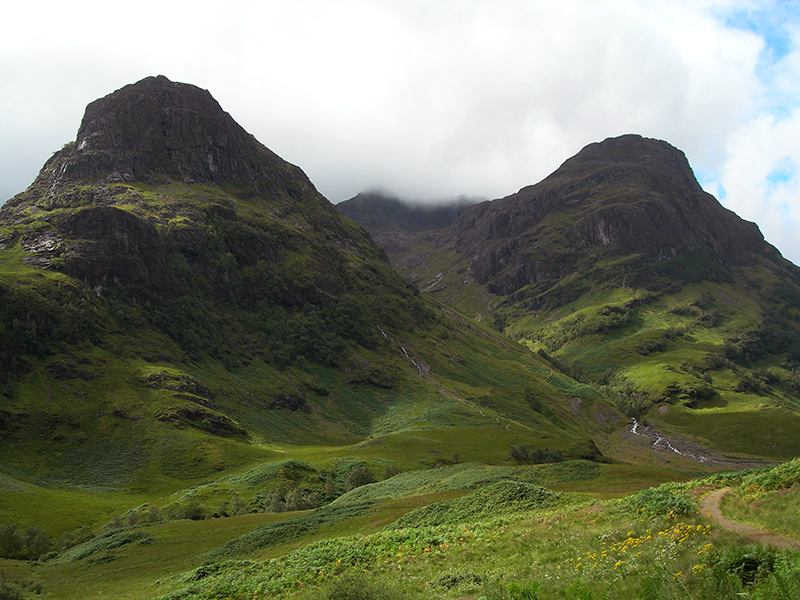 Impossible for us to travel in this fascinating country without paying a visit to the beautiful and melancholy valley which is one of the most popular sites in the Highlands of Scotland and one of our favourite places in the country. 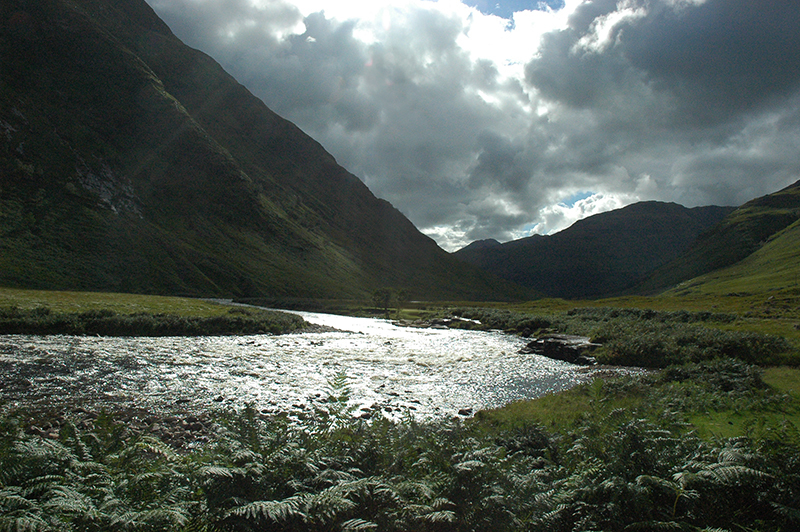 Each time we arrive there we feel irresistibly attracted by the mountains of Glen Coe and hardly have we got out of the car that we run the steep slope down to the lovely bridge which crosses the river Coe running turbulent waters under the shade of beautiful rowans. 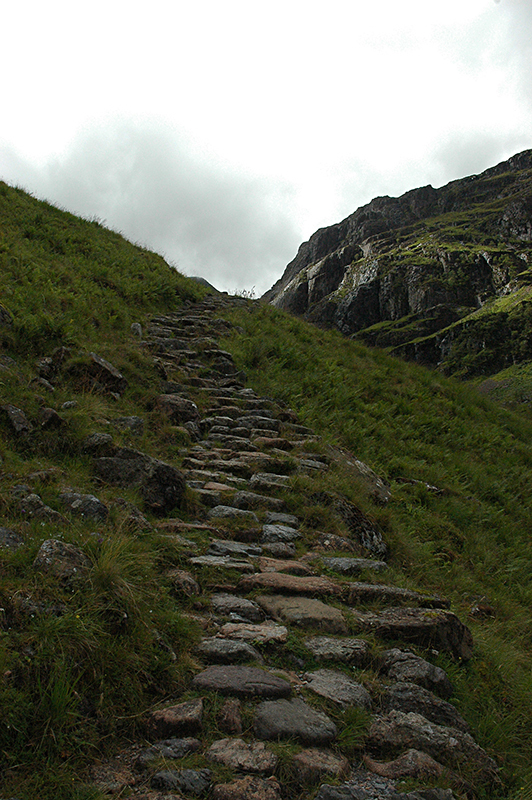 Then, and whatever the weather, we climb up the very narrow and stony path winding its way amidst majestic mountains up to the summit. It’s worth the effort even if, like me, you are terribly afraid of heights for the fabulous panoramic views unfolding before your eyes will make you voiceless. “Le feu couve” : a war of succession to the British throne, a growing opposition to the Stuart dynasty, a religious conflict between Protestants and Catholics… are at the origin of a conflict which had begun long before 1692 and would last long after the fatal day of 13 February of the same year. 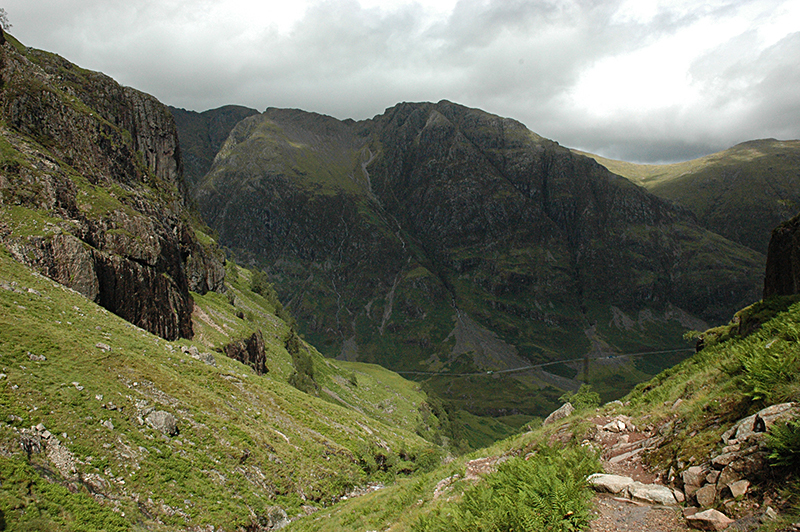 Below are just a few dates to try and replace the “Massacre of Glencoe” in its historical context. 6 February 1685 : death of the Stuart catholic king Charles II who is succeeded on the British throne by James VII of Scotland and II of England. 10 June 1688 : birth of James Francis Edward, son of James VII of Scotland and II of England. 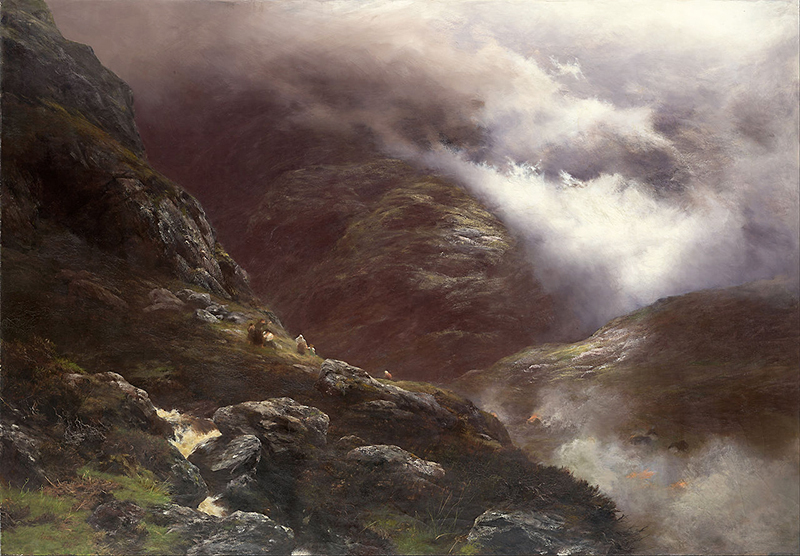 The birth of a catholic heir caused widespread civil disorder in Scotland, a growing opposition to the Stuart dynasty and fear of catholic supremacy. Indeed, James Francis Edward, nicknamed the “Old Pretender” will attempt, without success however, to gain the throne of Great Britain during the Jacobite rising of 1715. February 1689, after they had been offered the throne by the Convention Parliament, irregularly summoned by William of Orange, Mary (daughter of James VII of Scotland and II or England and Ireland) and her Dutch husband become co-regents over the kingdoms of England, Scotland and Ireland.